Formed by Bermuda, Puerto Rico and the Florida Keys, the so-called Bermuda Triangle covers about 500,000 square miles of ocean off the southeastern tip of Florida. Over the years, many ships, submarines and planes are said to have disappeared without trace. The Ellen Austin was one of the first ships to encounter mysterious circumstances in the Bermuda Triangle in 1881. Plying her route from London to New York through the triangle, she came across another ship on the way which was moving at good speed. Bizarrely, the other ship had no-one onboard. 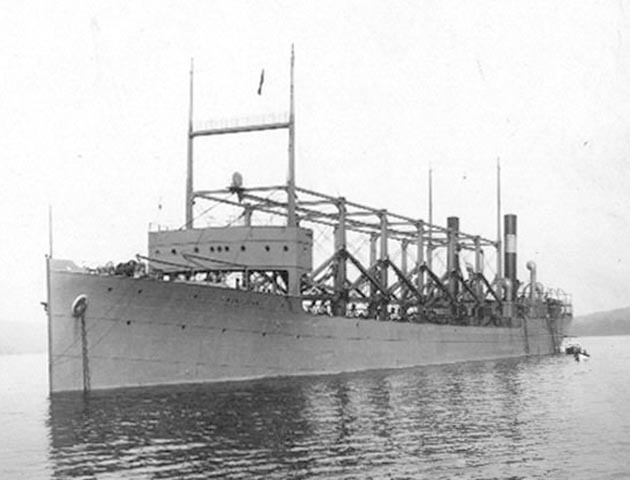 After departing from Barbados in February 1918, with a cargo of ore, the USS Cyclops disappeared, along with its 309 crew. There was no distress call, no debris and no evidence of the ship’s demise was ever found. Many aircraft have also disappeared. Flight 19, a training mission of five bombers, went missing on 5 December 1945. Two hours after the flight began, the leader of the squadron, who had been flying in the area for more than six months, reported that his compass and back-up compass had failed and that his position was unknown.